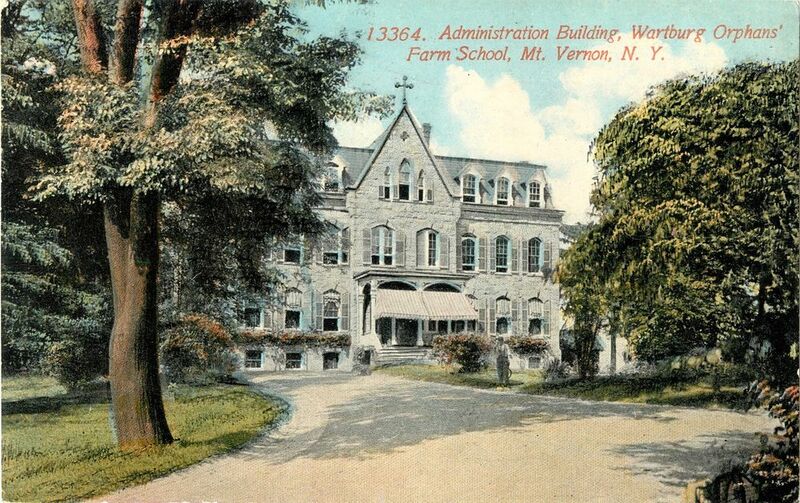 Postcard of the Wartburg Orphanage, around 1914. A few weeks ago I read a crushing article, “The Lost Children of Tuam,” in the New York Times. The story concerns hundreds of unmarried Irish Catholic mothers who, during the mid-twentieth century, were exiled to the St. Mary’s Mother and Baby Home in County Galway. Inside the stone fortress, as one survivor described the home, the nuns subjected the mothers and their children to neglect and degradation. Then, after a year of abuse, the mothers were forced out into the world leaving their children behind. Many of those children eventually died and were buried under gruesome circumstances, although some made it through. We never visited the Wartburg. Therefore, we didn’t know anything about what life was like there. No one enlightened us, either, which made it even easier to imagine something unpleasant. There was an impassable line between the students who lived at the Wartburg and everyone else who attended our predominantly white elementary school. Our city had a very strict social order most evident in the railroad cut that separated the South Side – largely black – and the North Side – largely white. The Wartburg fit into that hierarchy. The founder of the orphanage, Rev. William Passavant, called it the Wartburg Orphan’s Farm School. He started it after the Civil War for the children of dead soldiers. For a while, elderly people lived there, too. The reverend went on to establish several other orphan’s homes and spread the word of evangelical Lutheranism. He named the school after the medieval Wartburg Castle, located on a mountaintop in Thuringia in central Germany. Passavant asked a businessman named Peter Moller to purchase 121 acres in Mount Vernon, N.Y., and to provide an endowment. Moller, who liked to refer to himself as a Hanoverian immigrant (as opposed to German), was the eldest of several brothers who went into the sugar refining business in the 1850s. He made his fortune as president of the American Sugar Refining Company. Eventually he got embroiled in price-fixing but that was long after he gave Passavant the money. To head the Wartburg, Passavant called on George Charles Holls, a German immigrant who had risen quickly in the ministry after he founded the first Lutheran orphan asylum in the U. S., in a Pennsylvania town that bore the inimitable name, Zelienople. After Holls retired in 1889, along came Gottlieb Cleopas Berkemeier, who presided over the Wartburg until his death in 1924. 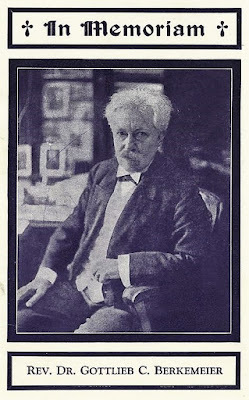 During World War I, Berkemeier became active in Friends of Peace, a pro-German group that lobbied against American involvement in the war, especially the prospect of a military alliance between the U.S. and the U.K. The first American orphanages sprang up during the early 1800s in response to industrialization, which robbed children of their parents’ care. Some orphanages were created to wrest control of children from their parents; this occurred especially among the families of Irish immigrants. A social reformer named Charles Loring Brace founded the Children’s Aid Society in New York City in 1854, working initially with newsboys. Reverend Brace also created the Orphans Train, which transported city children to the Midwest, Plains, and New England where they joined new families, mostly on farms. Astonishingly, the Orphans Train relocated nearly 400,000 children. Orphanages proliferated in the U. S. during the last third of the nineteenth century. Some historians believe this reflected society’s deepening concern for the welfare of the needy, young and old. All institutions were privately funded, and religious and ethnic groups looked out for their own. My great-grandmother, for example, lost her husband soon after emigrating from Russia to the U. S. with two young children. She placed them in a Hebrew Asylum for one year until she got back on her feet. There were a few orphanages for African-American children. The Colored Orphan Asylum in New York City operated between 1836 and 1946. By and large, however, black children without parents were sent to jail or reform school. 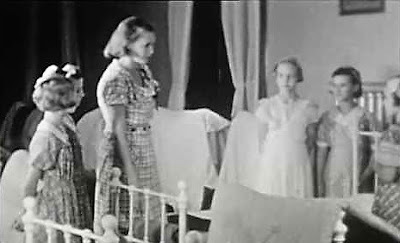 As progressivism surged into the twentieth century, Americans became disenchanted with orphanages, which were thought to keep children dependent and in lock-step (not to mention concerns about abuse). In 1909, President Theodore Roosevelt convened a White House conference to address the care of dependent children. Subsequently, the Federal Government created the Children’s Bureau, which had considerable latitude in overseeing foster homes, institutions, and medical care. In 1911, Illinois became the first state to authorize mother’s pensions for families without male breadwinners. It was thought that the pensions would minimize the need for orphanages. By 1919, 39 states had followed suit. Eventually the program was folded into the New Deal, along with much of the work of the Children’s Bureau. Through two world wars and the Depression, orphanages were filled to capacity. 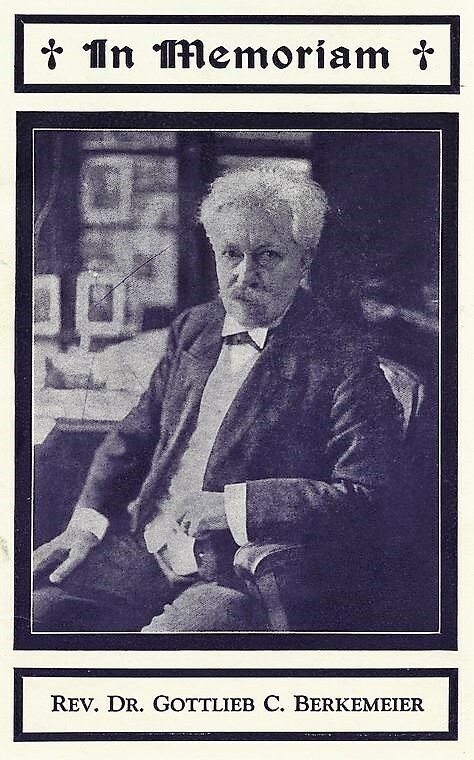 During those years, the Wartburg drew widespread praise as a model institution. oddly evokes "The Sound of Music" thunderstorm scene. *In 1979, the Wartburg closed its doors. See posts November 2, 2015; December 21, 2015; May 18, 2016. I’m quite ashamed of how we viewed those kids. Suspiciously, as if they had done something wrong. I see your note that the Wartburg closed in ‘79. They are still in business today, as an elder care facility. Some of the original buildings still remain. I lived at the Wartburg for a few years back in 1957 and 1958. My parents were both WWII disabled vets. They were quite destitute and no longer had the means to take care of my brother and me. I have nothing but fond memories of living there except after my dad had visited me while living there. I remember him leaving and me completely upset and crying that he had to go. But other than that I suppose my few years there were quite positive. I was well taken care of and loved. What a shame our government made it impossible to keep the place open. Far better than the broken foster care system we have today. Kids need stability in their formative lives. But yet they're treated like furniture moving from one foster home to another. But our benevolent caretakers in Washington know what's best for us, far better than what we ourselves know what is best for us. The bureaucrats and their accomplisses on the Left wish only to run our lives for us. We're too incapable of making the right decisions and doing the right things for ourselves. God forbid they give up their power and let families, churches, and communities decide what's best. The reason the Warburg closed was due to liberals in the state of New York wanting to wrest control of children away from parents and churches and use government run foster care instead. 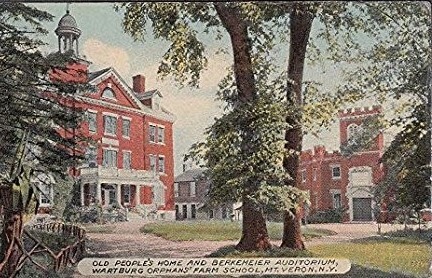 The Wartburg was a model institution that took good care of children, yet there were those in government who had "better ideas" of taking care of the young. They forced upon the Wartburg unattainable regulations such as the size of rooms, square feet of living space for each child, stairs that had to conform to government code, specific educational requirements, etc, which is how government usually does things to end programs and ideas that conflict with the state's agenda. It took way too much money for the Lutheran church to continue operating the Wartburg Orphanage, given these unattainable regulations. Prior to liberals hijacking the country in the 60's, our country had institutions for those with mental/drug problems, but those institutions were closed as well and now we have homelessness all over the country. Our government doing what it does best. In any event, my parents eventually could take care of me and I returned home after two years at the Wartburg. How much damage did it do to me by living at the Wartburg? I went on to go to college, enrolled in USAF ROTC, graduated in 1974, got married, went to pilot training, flew airplanes on missions that were briefed in the White House Situation Room, had two kids which we home schooled through high school given the sad state of education in our country, went to work at American Airlines as a pilot for them, retired in 2011 and am now happily retired with my wife of 44 years. So much for how horrible orphanages were. For those of you old enough to remember, the first "Rocket Man" who flew around Shea Stadium with a jetpack strapped to his back in the 60's, had also lived at the Wartburg! We need to get the state out of the business of running our lives and have families, neighborhoods, and churches take back what rightfully belongs to them. It would be a far better world. What a coincidence that our culture began collapsing around the same time that government began implementing their ideas. I believe I went to school with some of these children. Which elementary, Jr. High, and High school do you/they attend?